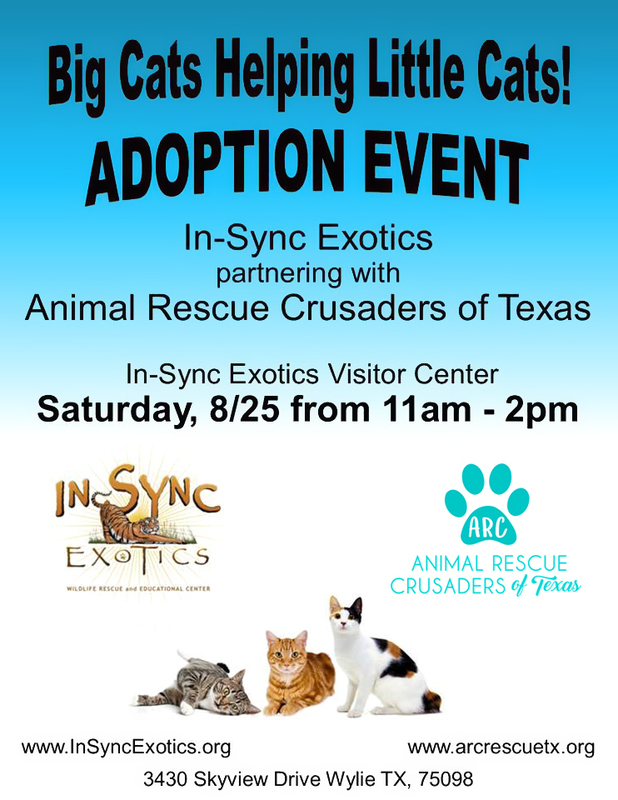 We will be holding an adoption event on Saturday, August 25th from 11am - 2pm at In-Sync Exotics! ARC is very excited to announce a wonderful opportunity to partner up with In-Sync Exotics Wildlife Rescue! The big cats are going to try to help the little cats find their forever homes! If you haven't been out to In-Sync Exotics, then you've been missing out on one the coolest places to visit in the metroplex. Please come out to join us on the 25th and spread the word! We would love all of you to come out to meet our kitties who need homes, and meet the big cats, too!